Light grey to colorless, these star sapphires are a very nice complement to the black or blue star sapphire. 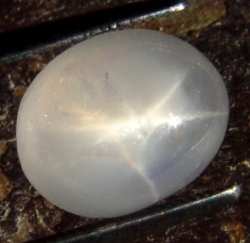 Grey star sapphire is always heat treated to produce, intensify or lighten color and/or improve color uniformity and appearance. 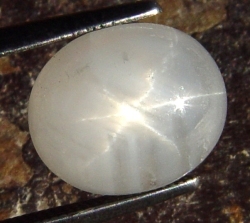 Grey Star Sapphire is a member of the Sapphire gemstone family. With a lighter gray six ray star.